With the passage of the American Health Care Act (AHCA) in the House on May 4, 2017, the health reform debate moved to the Senate. The Senate completely scrapped the House bill and released its own version of health reform, the Better Care Reconciliation Act of 2017 (BCRA). Despite important differences, AHCA and BCRA followed roughly the same contours. Both bills reduced taxes, eliminated government mandates, lowered federal government spending, lowered premiums for some people while increasing them for others, phased out Medicaid expansion under the Affordable Care Act (ACA), and ended Medicaid as an entitlement program. According to the nonpartisan Congressional Budget Office (CBO), the effect of the bills would be to increase the number of uninsured, reduce the deficit, lower costs for young and healthy consumers, and increase costs for older and poorer consumers., Unlike the House, however, the Senate could not muster enough Republican support to pass BCRA (or the Senate’s other two bills), stalling the health reform debate in Congress. After a month of relative quiet, the Senate is trying again with its consideration of the Graham-Cassidy bill to repeal and replace the ACA. Even though BCRA and AHCA appear unlikely to pass Congress in the near future, it is useful to review their main features given the strong Republican support for both bills. For political and legislative (following reconciliation rules) reasons, both the House and Senate bills kept several of the ACA’s popular provisions. These included: protections for those with pre-existing conditions, guaranteed issue and renewal requirements (although penalties were allowed for those with a gap in coverage), coverage of certain preventive services without cost-sharing, and coverage for adult children up to age 26. In addition, both bills included major revisions to the Medicaid program, discussed below. The House and Senate bills also removed the unpopular individual and employer mandates by eliminating the penalties associated with them. Instead of an individual mandate, BCRA required a six-month waiting period for individuals who have a break in coverage longer than 63 days. This waiting period was intended to incentivize people to remain covered even without the force of the mandate. AHCA chose a different incentive by allowing insurers to charge higher premiums for one year for those who do not maintain continuous coverage. While both bills replaced the ACA premium subsidies, they used different formulas to do so. The House bill included a refundable premium tax credit tied to age and adjusted based on the consumer price index plus one percentage point. The Senate bill continued to allow adjustments based on age, income, and geographic health care costs.3 Unlike the ACA, however, the Senate’s tax credit age-adjustment was structured so older individuals would pay a much higher percent of their income than younger individuals. Older individuals were also likely to pay more under BCRA because the premium age-rating band was expanded from 3-1 to 5-1, as in the House bill. BCRA’s tax credits were also less generous than the ACA tax credits because the Senate bill tied the tax credit to cheaper, skimpier plans. In addition, the tax credits were based on plans with smaller premiums (so the tax credit would be smaller) but likely to have higher out-of-pocket costs. This change, combined with BCRA’s elimination of cost-sharing reductions as of 2019, meant that many people would have found coverage unaffordable. BCRA amended the rules for 1332 waivers. Under the ACA, §1332 waivers are only granted if an alternative plan is budget neutral and provides a product that is as comprehensive, affordable, and accessible (covers a comparable number of residents) as the ACA plan. BCRA allows plans to waive requirements related to essential health benefits, actuarial value, out-of-pocket limits, certain other qualified health plan and exchange requirements as long as alternative plans “provide for alternative means of, and requirements for, increasing access to comprehensive coverage, reducing average premiums, and increasing enrollment.”3 This is a lower standard that does not define comprehensiveness of the plan or level of cost-sharing allowed. BCRA also replaced the budget neutrality requirement with one that required the alternative plan not to increase the federal deficit. BCRA eliminated the Prevention and Public Health Fund. BCRA eliminated many ACA taxes. BCRA included funding to insurance plans for cost sharing subsidies. These subsidies have been the subject of litigation brought by House Republicans under the Obama administration. The lower court agreed with the plaintiffs’ claim that the subsidies should not be funded because Congress did not appropriate money for that purpose and the Obama administration appealed. The Trump administration has refused to say whether they will continue to appeal the case or support funding of the cost sharing subsidies. The House and the Senate bills included dramatic changes to the Medicaid program. Both ended Medicaid expansion under the ACA and transformed Medicaid from an entitlement program to a block grant or per capita allotment. The upshot was significantly reducing the federal government’s obligation to fund Medicaid and an expected reduction of the number of individuals covered by the program. Like AHCA, BCRA kept the ACA Medicaid expansion option, but eliminated the enhanced payment provided by the ACA. The Senate phase out was longer, reducing payments from 90% to 80% from 2020 to 2023. Non-expansion states would have received assistance through a cancellation of the Disproportionate Share Payments (DSH) reductions under ACA and a three-year DSH payment increase for some non-expansion states.3 In addition, safety net hospitals in non-expansion states would have received increased payments. BCRA allowed states to choose to receive Medicaid funding through per capita caps or a block grant. BCRA’s per capita caps were similar to AHCA’s per capita caps in many respects. One key difference was the inflationary factor included in the bill. Starting in 2025 state base payments would be adjusted by the Consumer Price Index (CPI-U), which is much lower than the medical inflation adjuster (CPI-Medical plus one percent) used by the House and used in the early years of the Senate bill. Instead of a per capital allotment, states could have chosen a block grant option, called the Flexibility Program. BCRA’s block grant covered “other non-elderly, non-disabled, non-expansion adults.”3 This group likely included pregnant women, adults qualifying under the family planning option, and other parents and caretakers. The CPI-U would have been used as the inflation adjuster here as well. Other important Medicaid provisions included: defunding Planned Parenthood for one year, eliminating state options to streamline enrollment, shortening the retroactive eligibility look back from 3 months to 1 month, removing hospitals’ option to offer presumptive eligibility to the expansion population, restricting states’ ability to use provider taxes to fund Medicaid, incentivizing states to redetermine eligibility more frequently, allowing states to impose work requirements on non-disabled, non-pregnant, non-elderly adults, incentivizing states to improve quality, providing states a consulting role in rulemaking, and allowing states to provide additional inpatient psychiatric care coverage. Given the similarity between the House and Senate bills, it is not surprising that the politics of passing BCRA were at least as difficult in the Senate as they were in the House. With a slim 2-vote cushion to reach the 50 votes needed to pass the bill under reconciliation rules (Vice President Pence will supply the 51st vote), Senate Majority Leader Mitch McConnell (R-KY) had very little leeway in trying to appease both the moderate and conservative members of his party. The Republican leadership decided the best strategy was to draft the bill behind closed doors with many of their own members left in the dark, and then push for a quick vote before opposition to the bill could mobilize. This tactic backfired with a number of Republican Senators publicly criticizing the process. Once quick passage failed to materialize, the concerns about the bill took center stage. The Senate voted against BCRA on July 25th with 9 Republicans joining all of the Democrats in opposition to the bill. The next day, 7 Republicans joined all of the Democrats to scuttle a bill that would have simply repealed the ACA (effective in 2 years) but did not include any type of replacement plan. Finally, in a moment of high drama, Sen. John McCain (R-AZ), who at the time had been recently diagnosed with aggressive brain cancer, provided the third “no” vote (along with Sens. Lisa Murkowski (R-AL) and Susan Collins (R-ME)) that ultimately doomed what was referred to as the “skinny repeal” option. The skinny repeal option eliminated the individual and employer mandates as well as a tax on medical devices. It was a bill that few actually wanted to become law, and it was projected to increase premiums and drastically reduce the number of insured individuals. Even the senators who voted for the bill did so only after assurances that the House would not pass it. The goal was to reach a “conference committee” where the House and Senate could work to reach a repeal and replacement compromise. The compromise would then have been sent back to each chamber for approval. In voting against this strategy, these three Republican senators urged their colleagues to move forward in a bipartisan manner and to follow the regular order in the Senate (hold hearings, pass bills through committee, etc.). Once again, it is time to ask “now what?” After the failure of these repeal and replace attempts, the Republican leadership made it clear they wanted to move on to other priorities such as passing tax reform and a budget. Yet, rank-and-file Republicans have renewed the debate once again and polls continue to show that most Republican voters want their representatives to repeal the ACA. Republicans have one more chance to pass a bill before the current reconciliation rules expire at the end of September. The Graham-Cassidy bill has received renewed attention in recent days and has gained enough momentum to encourage Republicans and concern Democrats. CBO has indicated it will only have time to complete a preliminary analysis before the end of September, but it is expected that this bill not fare better than prior attempts in terms of increasing the number of uninsured and cutting Medicaid. Whether the need to pass something will overcome resistance of enough Republicans remains to be seen. All of this activity is occurring against the backdrop of various bipartisan efforts. Sen. Lamar Alexander (R-TN), Chair of the Senate committee on Health, Education, Labor and Pensions, and Sen. Patty Murray (D-WA), the ranking Democrat on the committee, made headlines with their plans to hold bipartisan hearings to stabilize the exchanges. In addition, a group of bipartisan legislators from the House announced a strategy to improve the ACA and a bipartisan group of governors unveiled their own health plan. Other groups, such as the Health Reform Roundtable and Bipartisan Policy Center’s Future of Healthcare initiative continue to work on recommendations for future policy changes. Will these efforts gain steam if Graham-Cassidy fails? While Congress’ recent track record on working together is not good, a bi-partisan approach to health reform is the one thing they have not tried yet. 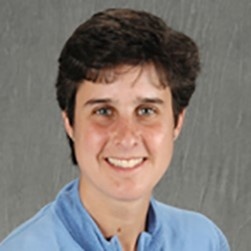 Sara Wilensky is Special Services Faculty for Undergraduate Education in the Department of Health Policy and Management at the Milken Institute School of Public Health at the George Washington University. She is also the Director of the Undergraduate Program in Public Health. As both a teacher and a researcher, Dr. Wilensky concentrates on the financing, access and health care needs of the medically underserved, including low-income and uninsured individuals, farmworkers and patients with HIV and AIDS. She is the co-author of Essentials of Health Policy and Law from the Jones & Bartlett Learning Essential Public Health series. Congressional Budget Office. American Health Care Act – —Cost Estimate. https://www.cbo.gov/system/files/115th-congress-2017-2018/costestimate/americanhealthcareact.pdf. Published March 13, 2017. Accessed July 23, 2017. Congressional Budget Office. Better Care Reconciliation Act of 2017 – —Cost Estimate. https://www.cbo.gov/system/files/115th-congress-2017-2018/costestimate/52849-hr1628senate.pdf. Published June 26, 2017. Accessed July 26, 2017. Jost T. and Rosenbaum S. Unpacking the Senate’s take on ACA repeal and replace. Health Affairs Blog. http://healthaffairs.org/blog/2017/06/22/unpacking-the-senates-take-on-aca-repeal-and-replace/. Accessed July 5, 2017. Jost T. Amended Senate bill includes waiting period for those who let coverage lapse. http://healthaffairs.org/blog/2017/06/26/amended-senate-bill-includes-waiting-period-for-those-who-let-coverage-lapse/. Accessed July 6, 2017. Rosenbaum S. Medicaid round two: the Senate’s draft “Better Care Reconciliation Act of 2017.” Health Affairs Blog. http://healthaffairs.org/blog/2017/06/24/medicaid-round-two-the-senates-draft-better-care-reconciliation-act-of-2017/. Accessed July 6, 2017. Congressional Budget Office. Better Care Reconciliation Act of 2017 – Cost Estimate. https://www.cbo.gov/system/files/115th-congress-2017-2018/costestimate/52849-hr1628senate.pdf . Published June 26, 2017. Accessed July 26, 2017. Jost. T. CBO projects that 22 million would lose coverage under the Senate bill. Health Affairs Blog. http://healthaffairs.org/blog/2017/06/26/cbo-projects-that-22-million-would-lose-coverage-under-senate-bill/. Accessed July 6, 2017. Fox L, Lee MJ, Mattingly P, Barrett T. Senate rejects proposals to repeal and replace Obamacare. CNN. http://www.cnn.com/2017/07/25/politics/senate-health-care-vote/index.html. Published July 26, 2017. Accessed July 26, 2017. Lee MJ, Mattingly P. Health care debate: Senate rejects full Obamacare repeal without replacement. CNN. http://www.cnn.com/2017/07/26/politics/health-care-bill-wednesday/index.html. Published July 26, 2017. Accessed July 26, 2017. Fox L. John McCain’s maverick moment. CNN. http://www.cnn.com/2017/07/28/politics/john-mccain-maverick-health-care/index.html. Published July 26, 2017. Accessed July 31, 2017.